When thinking about your first questions it is a good idea to plan your topics and how you will use them. Users will then be able to follow your example when asking their own questions. The fastest way to ask a question is to go to Questions on the header and start typing your question - similar questions will be suggested, or if the question does not already exist you can choose the Ask Question button to create it. You can include attachments, code samples, pictures, @mention users and more in your question. You must be logged in to ask a question. If your question is private or only applicable to one team or project you can ask it in a space. Any user that can ask a question can answer a question. You can @mention other users or share the question to bring others into the discussion. Up vote helpful answers, and down vote unhelpful or incorrect answers. You can only accept answers to your own questions (unless you're an administrator). Search - see questions in the quicknav and search results - there is even a filter for questions. Browse - view recent, popular, unanswered questions, your own questions, or questions on a particular topic. Watch - be notified by email when new questions are added to a topic you are watching. 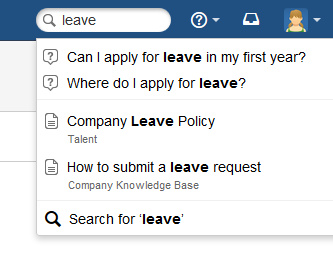 Questions also appear in the Popular tab on the Confluence dashboard. If you want to keep informed about a specific question, you can watch the question. You will be notified when answers and comments are added to the question. Add a comment when you need to find out more information or clarify a question or if you want to discuss an answer. You can also convert your answer to a comment, or comment to an answer. If your community has issues with lots of answers that really should be comments, administrators can convert other people's answers to comments or comments to answers too. Sometimes a question only relates to one team or project or just shouldn't be visible to everyone. By asking a question in a space, you get the benefit of the space permissions - only people who can view the space can search for and see questions that were asked there. To ask a question in a space, go to the space and choose Questions on the sidebar (if you can view the space you'll be able to ask and answer questions). Alternatively, you can go to Create > Ask a question and choose the right space from the drop down. Only the question is private - topics are visible to everyone who can use Questions. For example if you ask "How much is the staff bonus this quarter?" and add the topic 'bonus-q4' in a space that only senior managers can see, other people will be able to see the topic 'bonus-q4' and that there's one question for that topic, but not the question itself. Note: Viewing questions in a space is not available in the documentation theme, and may not be available in some third party or custom themes.